The name of March derives from the Latin name "Martius", the first month of the earliest Roman calendar. It was named for Mars, the Roman god of war, a guardian of agriculture and an ancestor of the Roman people. Martius stood for the beginning of the season for both farming and warfare and the festivals held in his honor during the month were mirrored by others in October, when the season for these activities came to a close. Many cultures and religions still celebrate the beginning of the New Year in March. March starts on the same day of the week as November every year and February in common years only. March ends on the same day of the week as June every year. This month we have a jammed packed agenda as spring starts within the Northern Hemisphere. 27. Feb - 15. March AUSTRALIA, Adelaide Festival - the country's largest and possibly wackiest festival. A huge, colourful and unhinged event - Edinburgh in the sun. 27. Feb. - 28. 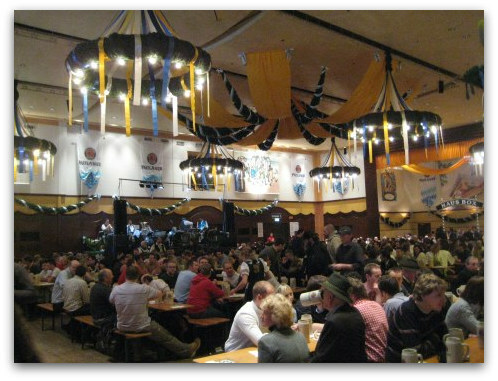 March GERMANY, Munich, Strong Beer Festival, a 300-year traditional beer-swilling, belly-swinging, guttural-singing, mostly German celebration. 1. - 14. March JAPAN, Omizutori (Water-Drawing Festival) - at the Todai-ji temple in Nara - 1,200 year old Buddhist ceremonies that the priests draw up the divine water which is believed to have healing powers. It is especially spectacular on the last night, full of huge, blazing torches and noise-making monks. 7. - 16. March USA, Daytona Beach, Florida Official Bike Week - the world's biggest motorbike fest with unhinged events of all kinds. 2 wheels god, four wheels baaad. 14. - 17. March IRELAND, Dublin St Patrick's Festival and St Patrick's Day Parade - a wild, green five days, including a huge parade. 15. - 19. March SPAIN, Fallas de Valencia Locals spend 5 days partying - parades, pageants and moderate fireworks then on the last night, they turn off all the city lights and set fire to hundreds of massive high quality papier-maché caricatures stuffed with fireworks around the city. 22. - 28. March ARGENTINA, Buenos Aires, CITA, International Tango conference - the world's most important tango event and the longest running tango meeting in the country.